Model numbers with base-10 blocks. Drag flats, rods, and individual cubes onto a mat to model a number. Blocks can be exchanged from one area of the mat to the other. 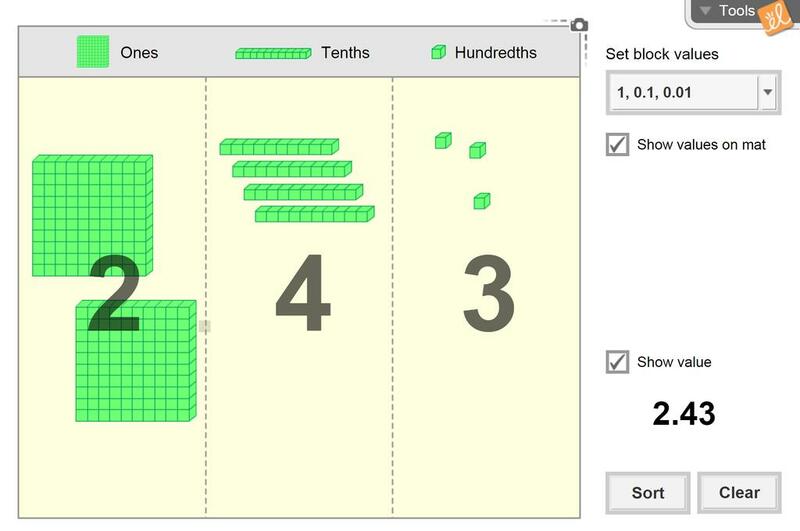 Four sets of blocks are available to model a variety of whole numbers and decimals. Model whole numbers using base-10 blocks. Model decimals using base-10 blocks. Model a single number in several different ways. For example, 32 can be represented with 3 rods and 2 cubes, or with 2 rods and 12 cubes. Model regrouping with base-10 blocks. Great way to model decimal values to a class!